Chris Morris, South Africa all-rounder, will miss the two-Test series against Bangladesh due to a back injury. 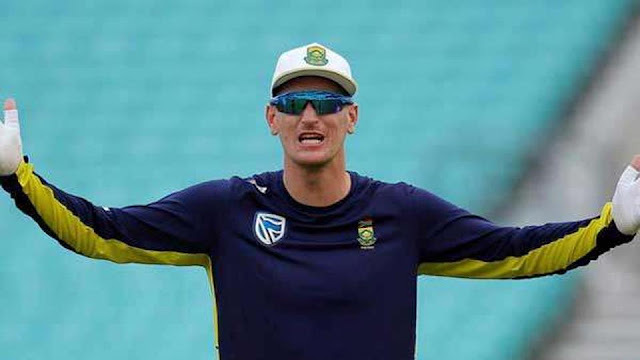 In a major blow to South Africa, all-rounder Chris Morris has been ruled out of the upcoming two-Test series against Bangladesh. Proteas team manager Mohammed Moosajee confirmed the news of new head coach Ottis Gibson’s unveiling on Tuesday, reports Sport24. Morris has been struggling with back injury and it is hoped that he would be able for the limited-overs fixture against Bangladesh beginning October 15 which includes three ODIs and two T20Is. The 30-year-old has played just four Tests for the Proteas so far, in which he has taken 12 wickets at 38.25. Pacer Vernon Philander is already out of the first Test and veteran fast bowler Dale Steyn has already declared himself not ready to play Test cricket at the moment. Steyn has been out of action since he got his right shoulder fractured during Australia’s first innings of the opening Test against South Africa, which the Proteas went on to win by a massive 177 runs at the WACA in Perth. The two-Test series begins in Potchefstroom on September 28 while the second match starts on October 6 in Bloemfontein.